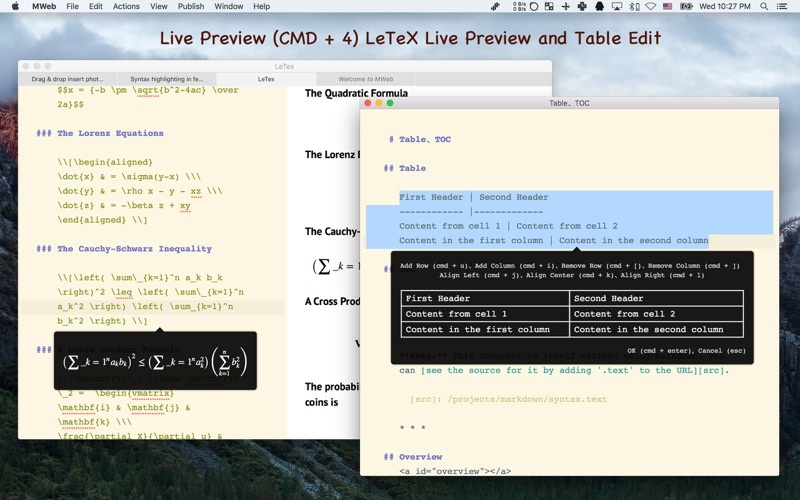 MWeb is Pro Markdown writing, note taking and static blog generator App for Mac, iPad and iPhone. 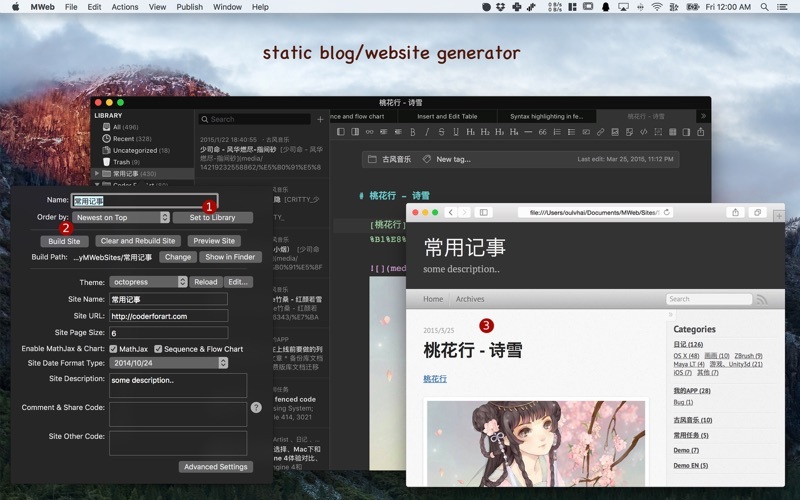 Publish/Update to WordPress, Metaweblog API services, WordPress.com, Evernote, 印象笔记, Blogger, Medium, Tumblr. `Preferences` `Publishing` to add publishing services. Click topright corner `Share Button` for publishing. 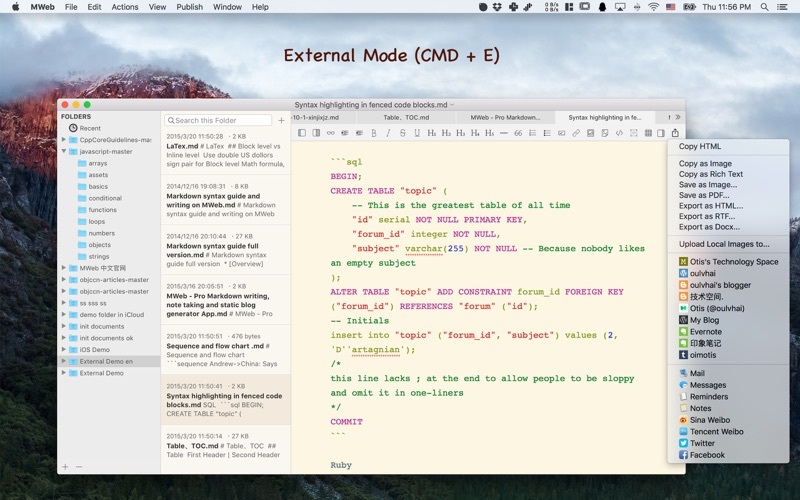 External Mode (CMD + E): This mode design for create, open external Markdown document. You can add external folder to this mode. 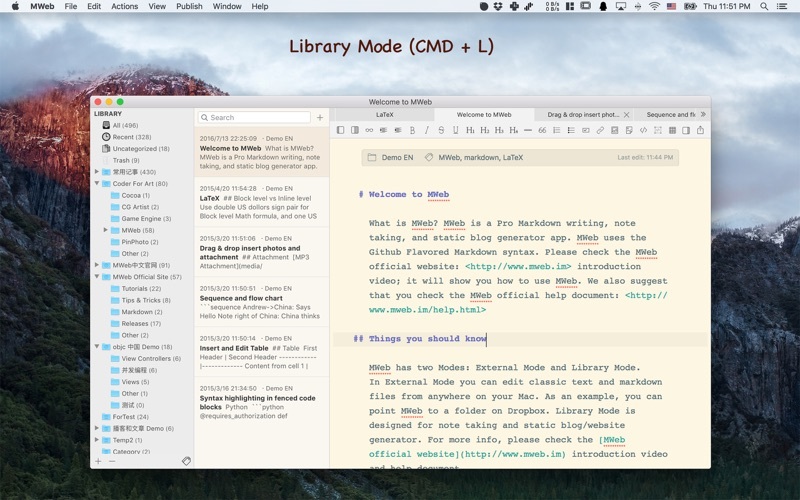 Library Mode (CMD + L): This mode design for note taking and static blog/website generator. Shortcuts `CMD + E` or `View`- `Open External` to open External Mode. Shortcuts `CMD + L` or `View`- `Open Library` to open Library Mode. 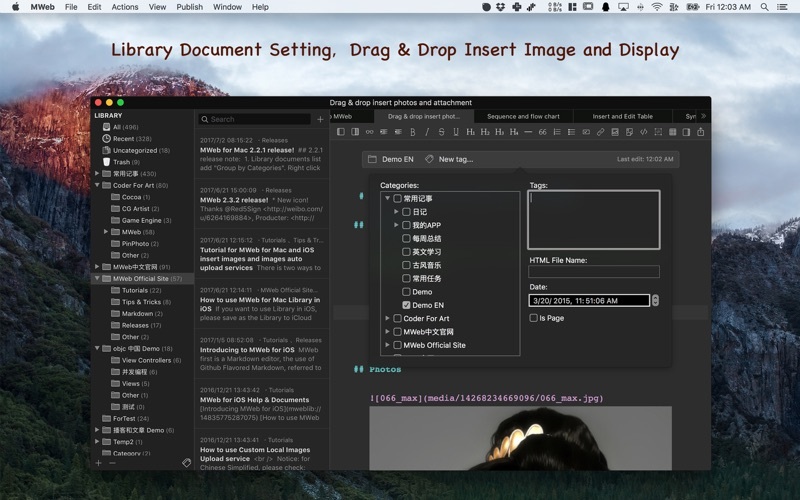 External’s folder and Library documents are supported **Full Text Search**, drag & drop or paste photos to the editor and display. `CMD + V` paste to JPG pictrue, `CMD + Shift + V` paste to PNG pictrue. You can build static blog **One Click**! Now has two blog themes, it’s easy to custom you owner blog theme. you can add [AddThis](http://www.addthis.com/) and [Disqus](http://www.disqus.com) code for share and comment support to you blog. You can enable MathJax and Sequence & Flow chart support in category setting. * Fix the Library categories and documents can’t drag & drop for sort.